New (5) from $91.09 & FREE shipping. 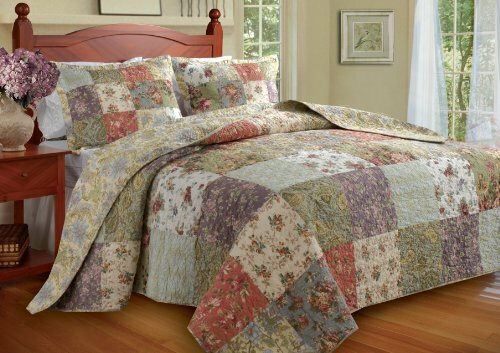 Size:Full Blooming Prairie quilted bedspread set spreads a riot of garden colors across your bedroom scene. 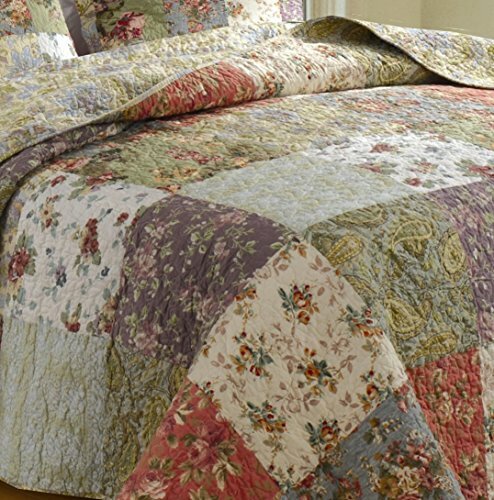 Quilt and shams reverse to an all-over Jacobean print on a soft yellow ground for a truly versatile bed cover. Reversible. 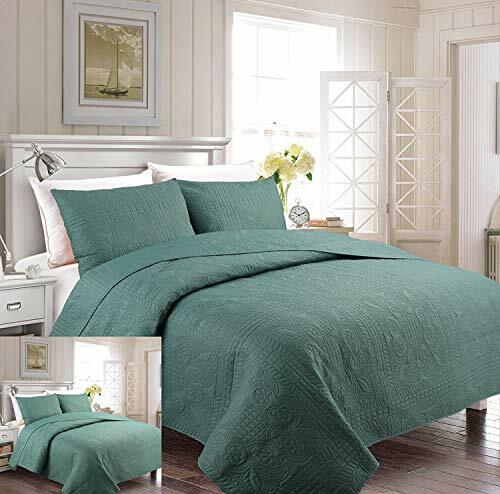 Each set includes one bedspread and two matching pillow shams (one sham per twin set).